Using frameless doors in a large shower area such as this, can provide the openness you might want in a smaller bathroom. This also provides you the ability to use a darker wood cabinet color as shown here to accent a lighter colored tile. 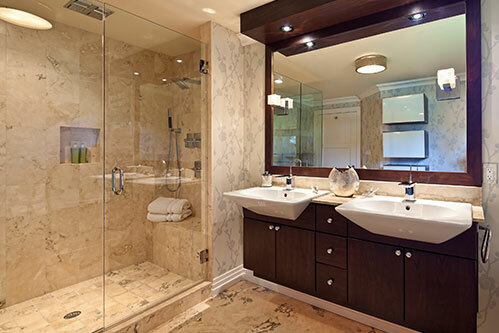 Notice the dual shower controls and head as well as the lighting in the shower area itself.